"One of the finest boutique hotels in Jaisalmer, Deoki Niwas Palace has been designed to provide a top quality luxurious stay to the guests. A stay in here is pure adventure as one feels as if he/she is living a real palace. Every corner and inch of the hotel has been carefully crafted to reflect the true heritage of Rajasthan. 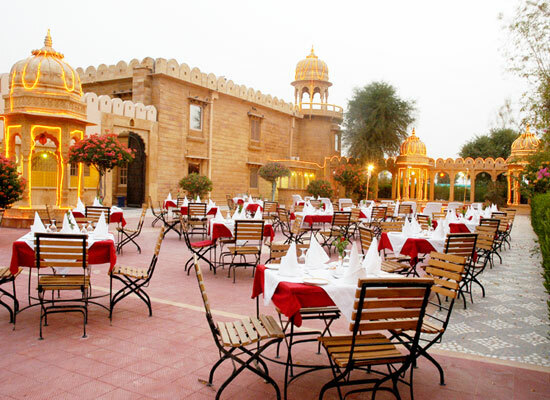 With hotel's close distance to the famous Jaisalmer Fort, Deoki Niwas Palace has become a personal favorite for Indian and international tourists. To reflect the glory and grandeur of the erstwhile golden days of Rajasthan, Hotel Deoki Niwas Palace is constructed to appear like a castle. The hotel is constructed using Jurassic yellow sand-stone. The hotel reminds one of an authentic Rajput 500 year old castle with the perfect blending of traditional Marwari charm and the modern luxuries. 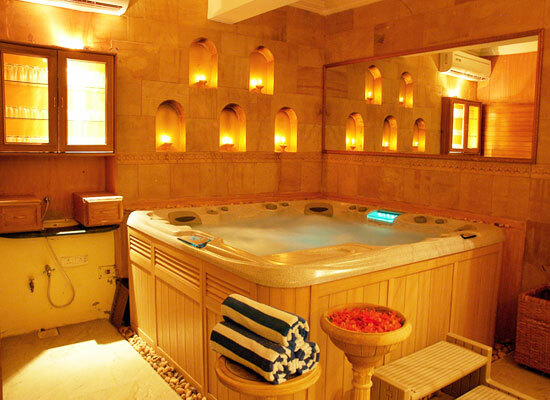 All the 40 rooms in Hotel Deoki Niwas are luxurious accommodations and designed very sophisticatedly and stylishly. All the requirements that one would require in their stay at a hotel are taken care of and are made available to guests. 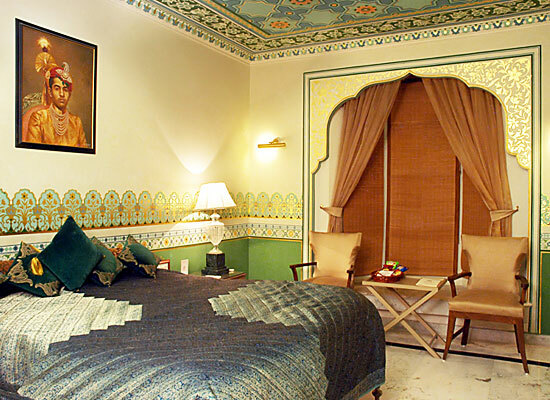 The rooms’ architectural patterns reflect the true colors of trademark Rajasthani artisans. The warm staff of the hotel ensures that one experiences a comfort level in these rooms as much they would enjoy in their homes. 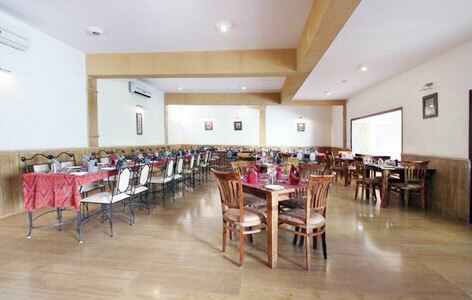 Ginger: This multi-cuisine restaurant specializes in Indian, Rajasthani and Continental cuisines. Golden Terrace Grill: For those who enjoy grill food and Tandoori dishes, this is a fine restaurant. Pool Side Bar: Tourists come here to enjoy a gala time along-side pool with refreshing drinks. The city of Jaisalmer in Rajasthan is one of the major tourist destinations in the country. Because of it being surrounded by golden sand dunes in and around, the city is popularly called among tourists as the "Golden City” of India. For those who wish to go on desert safari, jeep rides on deserts, camel rides on sands, playing golf on sand dunes or any other such adventurous activity, Jaisalmer is the city where they must head to.